Watch this video on how to place Aura in your home or follow the article below. 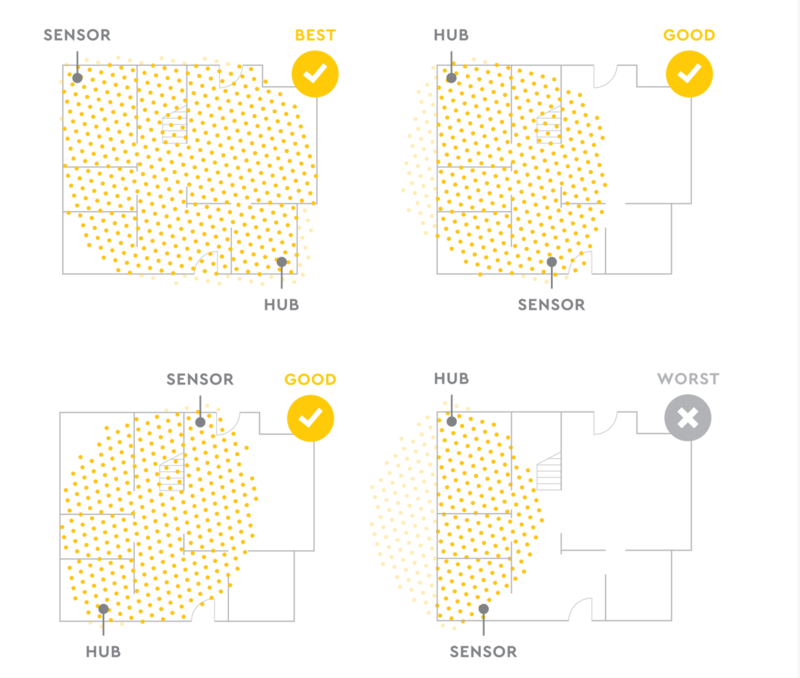 The Hub and Sensor do not need to be visible to one another. Note: The Hub and Sensor can be placed interchangeably in your home (i.e. place the Sensor near your front door and the Hub by the second entrance). Can I put the Hub or Sensor in a closet? Sure, as long as it’s not metal. It does not need to be visible to work. Can the Sensor be plugged in behind furniture? Yes. The Sensor does not need to be visible to work. Modifying placement in your home may impact coverage. Change where Aura is placed by unplugging the Hub and/or Sensor and plugging them in in their new location. You will not have to go through the setup process again, unless your Wi-Fi network has changed. Check coverage in your home.